Do Activity Releases Shield Schools and Other Entities from Injury Liability in Pennsylvania? In the coming school year, many Pennsylvania parents will be presented with activity releases and field trip permission slips to sign—which they must sign for their children to participate in certain activities. But what are the ramifications of signing an activity release pre-accident? 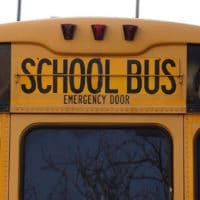 Do field trip permission slips, in fact, relieve the entity of liability for negligence, or is it possible to hold the entity responsible for student injuries notwithstanding their paper shields? For many Pennsylvania schools and other entities, activity releases and field trip permission slips serve as waivers to reduce liability and manage risk for injuries that occur during school functions. In other words, the waiver provides a defense if an injured student makes a personal injury claim and seeks damages, and many people will not sue if they signed a waiver. However, waivers—including permission slips, activity releases, exculpatory clauses, and hold harmless agreements—do not protect those entities from being sued. After sustaining an injury, a student may file a personal injury claim, regardless of whether he or she (or his or her parents) signed a waiver, and it’s up to a court to decide if the waiver is enforceable. Generally, Pennsylvania courts apply contract law to personal injury claims involving waivers of liability. For cases in which the parent signed the waiver, Pennsylvania law is clear that parents do not have the authority to release their children’s potential legal claims against others, so pre-accident, parent-signed waivers are typically unenforceable against a child’s injury claim. In cases where the minor, him or herself, signed a waiver of liability, minors of a certain age are not considered competent to enter into valid contracts in Pennsylvania, and, thus, any contracts minors enter are usually voidable by the minor. For help understanding your rights and options after a personal injury, call Benedum Law at 215-LAWSUIT for a free consultation with an experienced and knowledgeable personal injury attorney.